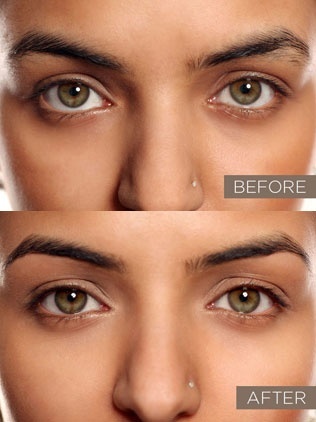 With its ambiguous origin in countries like India, China and the Middle East, Threading is an ancient Asian technique of hair removal which precisely removes unwanted hair from around the eye brows, upper lip, chin, forehead, neck and the sides of the face. Regardless of the myth, threading is substantially less painful than other hair removal equipments and techniques such as waxing/epilators/tweezing. The actions of a trained therapist means that you won’t feel the slightest of pain and some clients report it as being relaxing instead. It is also important to consider your facial hair growth before deciding whether threading will be apt for you for you or not. The cost of waxing strips, hair lighteners or bleach, those expensive electrical epilators and not to forget their sharp, painful feeling on the skin and the constant hassle of replacing tweezers, sharpening or replenishing them can be a chore for some, in which case threading would be a cost effective alternative to facial hair removal. Another important fact associated with threading is that Hair grows considerably finer and softer as opposed to other techniques. With tweezers and waxing, the hair is only shaved off from the top especially if you attempt to do it at home, leaving stubby roots at display which in turn grow out denser, coarse and difficult to manage. With threading however, hair is pulled out from the follicle and that too in a row, leading to systematic hair growth. It is widely acclaimed that threading slows down hair growth eventually, just after 2-3 sessions when visible difference in hair texture and growth can be noticed, making it the best low maintenance hair removal method out there, needing a top-up every three weeks or so depending on individual needs. A lesser known fact associated with threading is that it is also particularly beneficial for those with sensitive skin, as the top layer of the skin is not peeled or traumatised which would otherwise give the appearance of dry skin, redness and little bumps around the area. Dermatologists preferred method of facial hair removal has been threading for decades as they believe it is the most non aggressive method out there that is gentle on the skin and the massaging motion of the cotton thread against the skin further prevents the formation of wrinkles, also making it an anti-ageing measure! With innumerable benefits credited to the ancient hair removal technique, why not give it a try if you are especially looking for that bespoke, celebrity-like brow arch that will compliment your face shape and bone structure, making you look ten years younger and glamorous instantly.